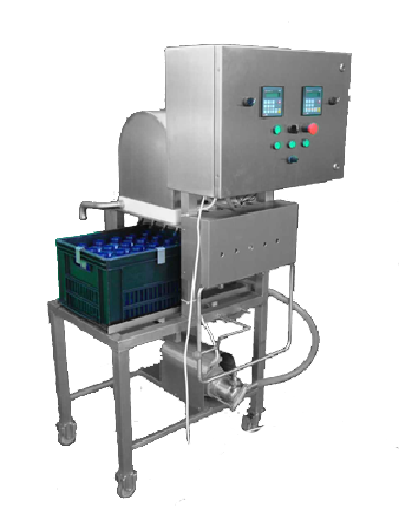 Filling system for filling 20 cups or bottles in a crate with milk, juice drinks,wine and spirits or other beverages. 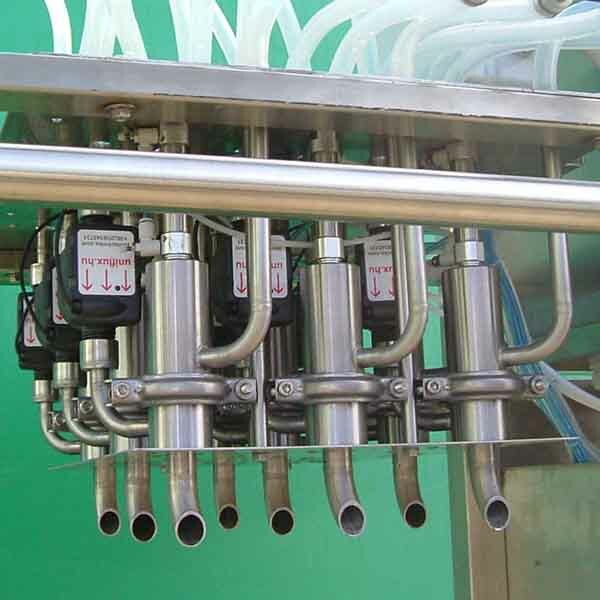 With 20 pneumatically operated filling valve, the filling quantity is adjustable from 0.2 up to 1 Liter. The bottles are filled without crate movement. 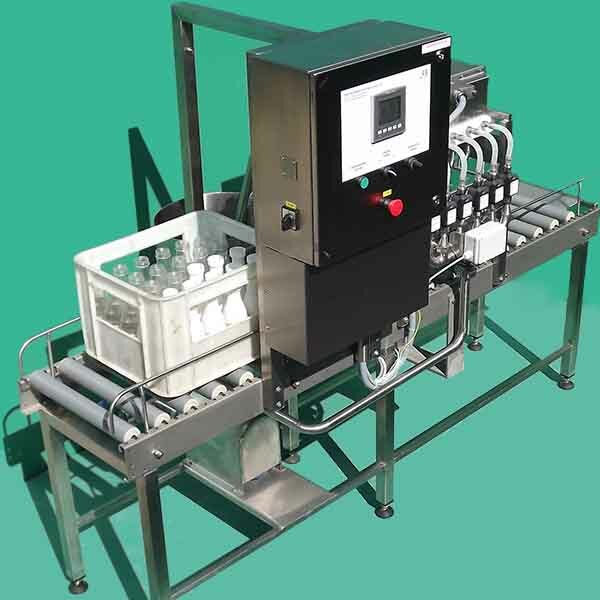 All bottles are inductive flow measured "one by one". The crate waits on position until all bottles are filled and decends to the original height to forward on the roller-table (manually). 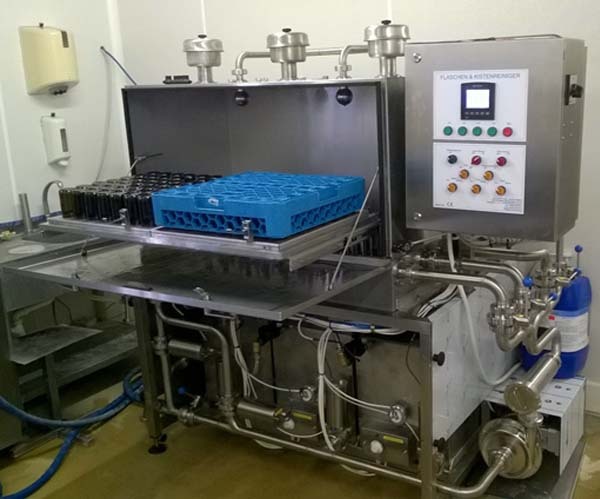 This bottling equipment is working only with homogenous products, without any fruit pieces! Bottle capping takes place manually. All bottles are individually measured with a maximum deviation of 2% (max. 20 ML at 1L capacity). 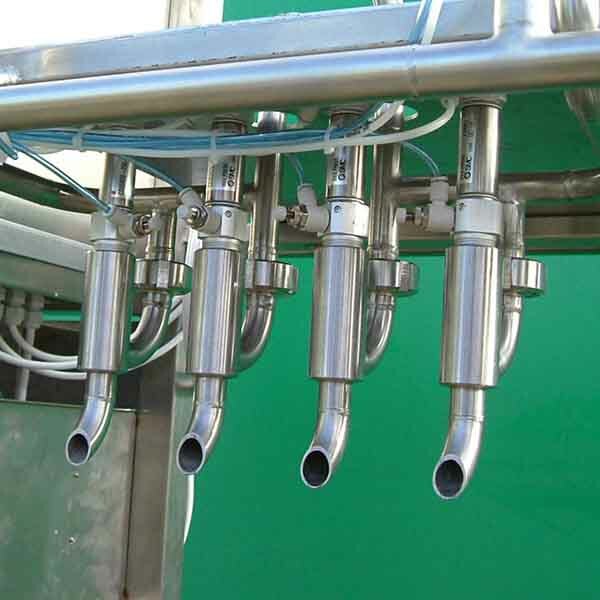 In measuring tube are no unnecessary complications for cleaning, since it is only a straight-through pipe inside.